Do you have an attractive video footage and would like to show it to a wider audience? Wondering how to increase brand recognition and acquire new customers? 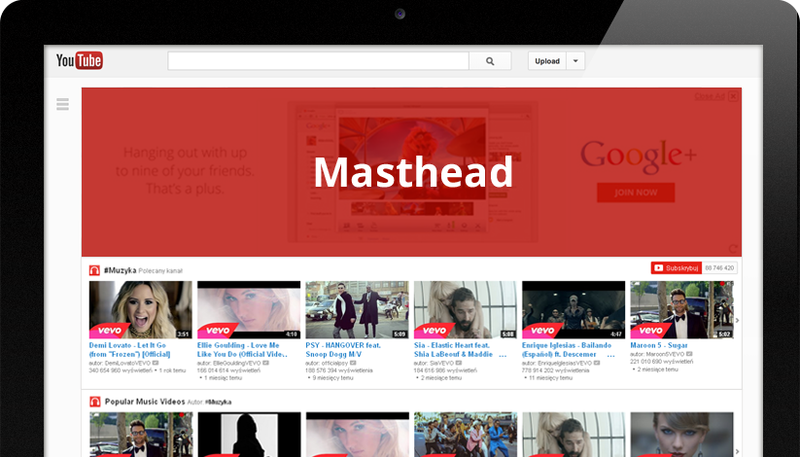 Use video ads in the largest video service and also second most popular search engine in the country – YouTube. 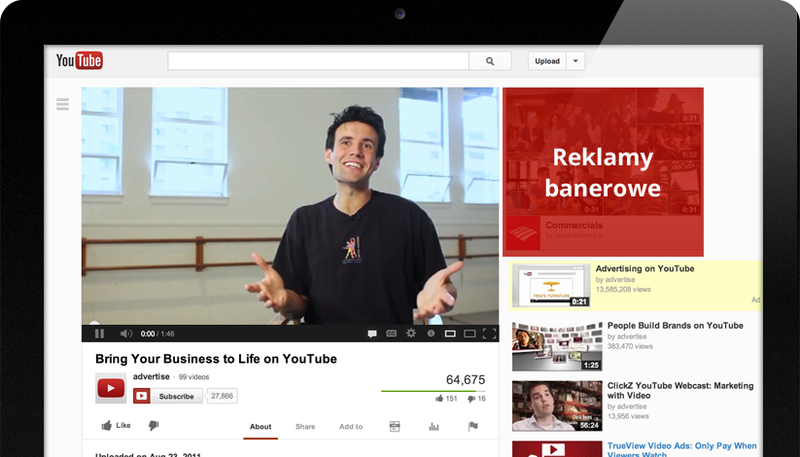 YouTube advertising is available to every advertiser – you do not have to worry about high costs! You pay only for a click or ad view. If someone "skips" the video within 30 seconds or does not watch it in full, then you will not incur any costs. You are reaching the right target group – you specify, among others. age, profession, interests, location. Accurate statistics – We'll tell you who saw your ad, how often, and what his or her next step was. We'll help you acquire new customers and subscribers to your channel! TrueView In-Stream: The ad appears before the videos. You can skip it after 5 seconds. You will not incur any costs then. Your ads will appear not only on YouTube channels, but also in videos, games, and apps on the Google Display Network. In addition, video ads will appear on other sites (if someone has embedded a video there) and YouTube mobile apps. TrueView In-Display: An excellent tool for promoting an interesting video that does not need to be an advertising material. Just an interesting topic and content! Videos are displayed on watch pages, search results on YouTube, and play pages from the Google Advertising Network. They appear as suggestions for similar and promoted videos, as click-to-play and click-to-play ad formats. You don’t have any video and still would like to be seen on YouTube? Nothing easier! We'll help you with your carefully crafted graphical or text campaign! We pay only for the interested user when he clicks on our ad. In addition, we can select specific playbacks for ads. 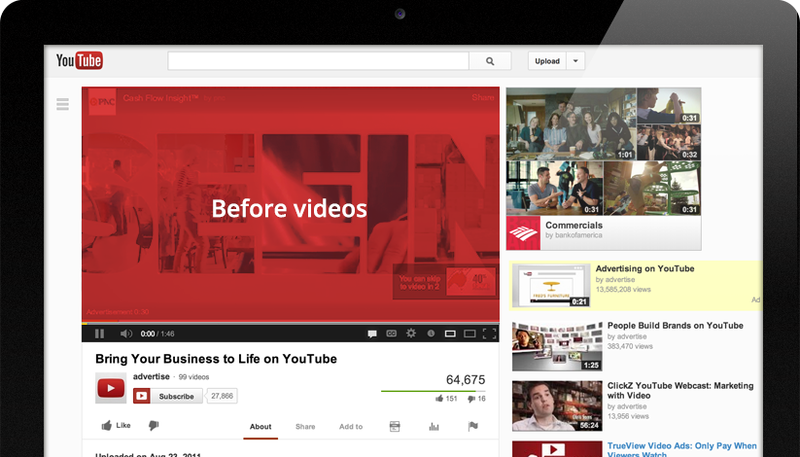 YouTube videos are also included on other home pages – your ads will appear there aswell. The service allows you to show specific ads to users who have performed a specific action. We can show text and image ads to users who have visited your website before! If you'd like to start advertising on a larger scale and choose your location and frequency of impressions – call us! We'll help you display ads with the most visibility – you can book yourself even on the YouTube homepage (Masthead) or book specific movie channels. In addition, you have fixed costs - set at the very beginning of the cooperation. Call us at 507 507 520 or fill out the form below!